The Cool Route stretches from Cork in the South of Ireland up to Northern Ireland and Western Scotland, then on to the Faroe Islands and Norway. Documented as being sailed by Celtic saints in the 7th century and Viking raiders in the 8th century, this often overlook area of Northern Europe has plenty to offer for superyachts looking to explore more off the beaten track locations. "The Cool Route, mile for nautical mile, must be the most interesting coastal route anywhere, with a recoded history of saints, scholars and Vikings sailing these waters 1,500 years ago," says F1 legend Eddie Jordan. "It’s not just the history, I may be a little biased, but here we are referring to some of the most scenic and majestic coastlines anywhere in the world." While a number of superyachts have ventured to Scotland and the Norwegian Fjords are fast becoming one of Scandinavia's most popular destinations, parts of the United Kingdom, Ireland and the Faroe Islands remain relatively unexplored by superyachts. However, with an increase of interest in explorer yachts over the last couple of years, this is changing. "The number of superyachts opting to explore these coastlines is increasing year-on-year, attracted by the many things to do and see. Personal and vessel security is highly appreciated also," Jordan adds. What to do and see: Get a taste of Irish, British and Scandinavian culture in one fell swoop. 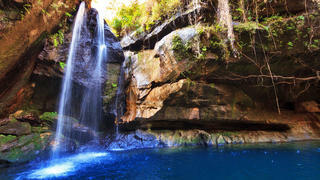 Each location has a lush, unique and rugged landscape and vibrant wildlife. While Cork offers spectacular golf courses, Medieval castles and rustic watering holes, Western Scotland is the perfect place to tour a whisky distillery or go horse riding. Indulge in a helicopter tour of the Faroe Islands before enjoying the extraordinary 10-course tasting menu at KOKS, which comprises of dried, fermented, smoked and salted dishes alongside wine and beer pairings. During your final stop in Norway, be sure to tour the fjords, find the perfect spot to see the Northern Lights and try out a husky-sledding trip. When to visit: It is best to visit this part of the world during the summer months, when there is much more light. 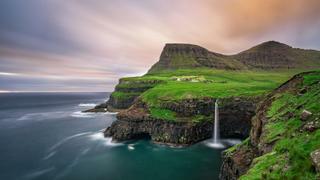 Additionally, the narrow passages running between the Faroes can make sailing in these waters quite challenging. The Cool Route stretches from Cork in the South of Ireland up to Northern Ireland and Western Scotland, then on to the Faroe Islands and Norway. Documented as being sailed by Celtic saints in the 7th century and Viking raiders in the 8th century, this often overlook area of Northern Europe has plenty to offer for superyachts looking to explore more off the beaten track locations. "The Cool Route, mile for nautical mile, must be the most interesting coastal route anywhere, with a recoded history of saints, scholars and Vikings sailing these waters 1,500 years ago," says F1 legend Eddie Jordan. "It’s not just the history, I may be a little biased, but here we are referring to some of the most scenic and majestic coastlines anywhere in the world." While a number of superyachts have ventured to Scotland and the Norwegian Fjords are fast becoming one of Scandinavia's most popular destinations, parts of the United Kingdom, Ireland and the Faroe Islands remain relatively unexplored by superyachts. However, with an increase of interest in explorer yachts over the last couple of years, this is changing. "The number of superyachts opting to explore these coastlines is increasing year-on-year, attracted by the many things to do and see. Personal and vessel security is highly appreciated also," Jordan adds. What to do and see: Get a taste of Irish, British and Scandinavian culture in one fell swoop. Each location has a lush, unique and rugged landscape and vibrant wildlife. While Cork offers spectacular golf courses, Medieval castles and rustic watering holes, Western Scotland is the perfect place to tour a whisky distillery or go horse riding. Indulge in a helicopter tour of the Faroe Islands before enjoying the extraordinary 10-course tasting menu at KOKS, which comprises of dried, fermented, smoked and salted dishes alongside wine and beer pairings. During your final stop in Norway, be sure to tour the fjords, find the perfect spot to see the Northern Lights and try out a husky-sledding trip. When to visit: It is best to visit this part of the world during the summer months, when there is much more light. Additionally, the narrow passages running between the Faroes can make sailing in these waters quite challenging. A trip to the frozen stuff from the tip of South America has become a well-furrowed route for those who want an Antarctic adventure. The Ross Sea, on the opposite side of the southernmost continent and the most spectacular destination in Antarctica, is a very different proposition.This is the real deal. 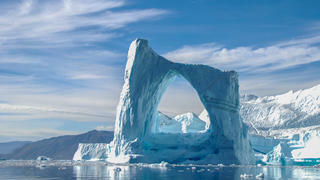 “The Ross Sea is best suited for only the strongest of private yachts,” says Ben Lyons, CEO of EYOS Expeditions. “To sail there you have to be capable in the ice and ready for long ocean passages in some of the world’s most notorious waters.” In 2014, Arctic P led the way for superyachts when she set a new record, venturing further south than any vessel in history, at 78°43.034’S – only 677 nautical miles from the South Pole. While no yacht has yet challenged this record, Antarctica has just experienced a bumper season, with 71.4 metre Enigma XK and 96 metre Vava II visiting the region. What to do and see: “Amazing wildlife, spectacular icescapes and the chance to visit one of the world’s most remote and pristine areas make the Ross Sea an iconic Antarctic experience,” says Lyons. 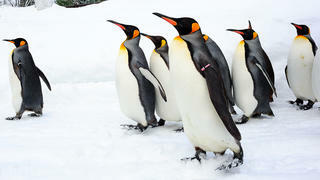 Arctic P’s guests saw emperor penguins, killer whales, minke whales and much more from the yacht. On land, there is fascinating history to delve into. “The Ross Sea was the starting point for heroic explorers attempting to reach the South Pole,” says Lyons. “The huts built by [Robert] Scott and [Ernest] Shackleton at the base of Mount Erebus still stand as well-preserved monuments to these lions of exploration.” When to visit: Trips to Antarctica are possible only between late October and late March – summer months in the southern hemisphere. A trip to the frozen stuff from the tip of South America has become a well-furrowed route for those who want an Antarctic adventure. The Ross Sea, on the opposite side of the southernmost continent and the most spectacular destination in Antarctica, is a very different proposition.This is the real deal. In 2014, Arctic P led the way for superyachts when she set a new record, venturing further south than any vessel in history, at 78°43.034’S – only 677 nautical miles from the South Pole. While no yacht has yet challenged this record, Antarctica has just experienced a bumper season, with 71.4 metre Enigma XK and 96 metre Vava II visiting the region. When to visit: Trips to Antarctica are possible only between late October and late March – summer months in the southern hemisphere. Isolated for almost 70 million years, Madagascar is home to a bounty of fantastical creatures that exist nowhere else on earth. Ninety per cent of its forest flora and more than half of its bird species are endemic to the island, the varied and often alien-looking landscape yielding lemurs, chameleons, baobab trees and much more besides. “For most superyachts, the delights of mysterious Madagascar are too far off the beaten path to be of key interest, but for those with a thirst for exploration many unique experiences await,” says Lyons. “Madagascar was at the very outer range of Somalia-based pirates, but this threat has now dissipated." What to do and see: The pristine white beaches on Nosy Be island, off the northwest coast, are popular with tourists, but the Nosy Hara Archipelago of 12 small islands surrounded by coral reef is lesser-known and a pristine snorkelling haven. Head to Île Sainte-Marie to see more tropical fish, go wreck diving and spot humpback whales on migration. When to go: The wettest season is between January and March, with cyclones common in February. Head to the island in June or July if you want to spot baby lemurs and humpback whales. Or visit in October when ring-tail lemurs are born. For a trip inland, accessible from Antsiranana, Amber Mountain National Park is known for its amphibian and reptile life as well as beautiful waterfalls. The area around Andavadoka in the south west is another wonderland of reefs and islands, if you haven’t had your fill. Isolated for almost 70 million years, Madagascar is home to a bounty of fantastical creatures that exist nowhere else on earth. Ninety per cent of its forest flora and more than half of its bird species are endemic to the island, the varied and often alien-looking landscape yielding lemurs, chameleons, baobab trees and much more besides. “For most superyachts, the delights of mysterious Madagascar are too far off the beaten path to be of key interest, but for those with a thirst for exploration many unique experiences await,” says Lyons. “Madagascar was at the very outer range of Somalia-based pirates, but this threat has now dissipated." What to do and see: The pristine white beaches on Nosy Be island, off the northwest coast, are popular with tourists, but the Nosy Hara Archipelago of 12 small islands surrounded by coral reef is lesser-known and a pristine snorkelling haven. Head to Île Sainte-Marie to see more tropical fish, go wreck diving and spot humpback whales on migration. When to go: The wettest season is between January and March, with cyclones common in February. Head to the island in June or July if you want to spot baby lemurs and humpback whales. Or visit in October when ring-tail lemurs are born. For a trip inland, accessible from Antsiranana, Amber Mountain National Park is known for its amphibian and reptile life as well as beautiful waterfalls. The area around Andavadoka in the south west is another wonderland of reefs and islands, if you haven’t had your fill. Safety concerns have previously dissuaded superyachts from heading to the crystal clear waters and rich wildlife of Borneo. But last December Lloyd’s Joint War Committee removed North Borneo, East Borneo and the South Philippines from its Listed Areas. This means it is no longer necessary for vessels to acquire special permission from insurance underwriters to visit the region. Several superyachts have seized the opportunity with three spotted in Kota Kinabalu, Sabah, in June. What to do and see: “First and foremost, Borneo is a nature destination,” says Raymond Heer, captain of 42.5 metre Angiamo. “A boat safari on the Kinabatangan River is the best way to see orangutan, pigmy elephants and proboscis monkeys. 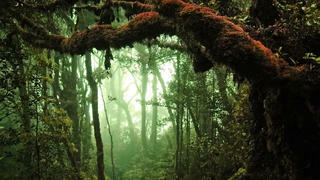 Or if pristine primary rainforests are your thing, head for Danum Valley.” The delights continue underwater. Barracuda Point in Sipadan is packed with turtles and Layang-Layang is best for spotting hammerhead sharks. When to visit: “The north of Borneo is called ‘the land below the wind’ because the area is below the belt of typhoon all year long,” explains Captain Jean-Francois Cormerais, from Asia Pacific Superyachts. As a result it is best to plan your timings around your priorities. March to December is the best time to spot orangutans, April to December is good for diving, while March to May is the season to see whale sharks. Safety concerns have previously dissuaded superyachts from heading to the crystal clear waters and rich wildlife of Borneo. But last December Lloyd’s Joint War Committee removed North Borneo, East Borneo and the South Philippines from its Listed Areas. This means it is no longer necessary for vessels to acquire special permission from insurance underwriters to visit the region. Several superyachts have seized the opportunity with three spotted in Kota Kinabalu, Sabah, in June. The delights continue underwater. Barracuda Point in Sipadan is packed with turtles and Layang-Layang is best for spotting hammerhead sharks. When to visit: “The north of Borneo is called ‘the land below the wind’ because the area is below the belt of typhoon all year long,” explains Captain Jean-Francois Cormerais, from Asia Pacific Superyachts. As a result it is best to plan your timings around your priorities. March to December is the best time to spot orangutans, April to December is good for diving, while March to May is the season to see whale sharks. “One of the last remote places on earth,” according to Alan Martlew, captain of 42 metre Ocean Alliance charter yacht Anda, Ningaloo Reef has long been overlooked in favour of its big sister, the Great Barrier Reef. “It is not as well known so you don’t get the thousands of tourists, which means you can virtually have the place to yourself,” he says. One of the longest fringing coral reefs in the world, this UNESCO World Heritage Site is located in tnorth-westest coastal region of Western Australia. What to do and see: The reef is famous for its amazing diversity — it is home to whale sharks, dugongs, turtles, dolphins, humpback whales, 500 species of fish and 300 species of coral – and presents some of the best fishing in Australia. The coastline also offers a unique experience on dry land, where rugged red ranges create the feel of outback Australia. 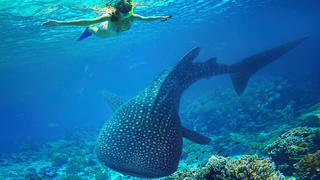 When to visit: The best time of year to swim with whale sharks is between March and June, you can swim with manta rays between May and November, and spot humpback whales between July and November. “One of the last remote places on earth,” according to Alan Martlew, captain of 42 metre Ocean Alliance charter yacht Anda, Ningaloo Reef has long been overlooked in favour of its big sister, the Great Barrier Reef. “It is not as well known so you don’t get the thousands of tourists, which means you can virtually have the place to yourself,” he says. One of the longest fringing coral reefs in the world, this UNESCO World Heritage Site is located in tnorth-westest coastal region of Western Australia. What to do and see: The reef is famous for its amazing diversity — it is home to whale sharks, dugongs, turtles, dolphins, humpback whales, 500 species of fish and 300 species of coral – and presents some of the best fishing in Australia. The coastline also offers a unique experience on dry land, where rugged red ranges create the feel of outback Australia. When to visit: The best time of year to swim with whale sharks is between March and June, you can swim with manta rays between May and November, and spot humpback whales between July and November. Greenland is home to fjords, glaciers and the biggest icebergs in the northern hemisphere, but despite its beauty only the brave visit. “Much of eastern Greenland is all but unexplored by private yachts,” says Lyons. “Scoresby Sound, for instance, is one of the largest fjord systems in the world but few yachts have ventured there.” In part that’s because of hard, multi-year ice that’s difficult to navigate except during a short period in late summer. “But for the yachts that are equipped to make such an expedition, the rewards are vast landscapes, icebergs and the protected wildlife of the Northeast Greenland National Park.” What to do and see: The area near Ilulissat is home to some of the tallest icebergs on the planet, towering either side of yachts that cruise between them. “No two icebergs are alike,” says Camper & Nicholsons’ Alex Garro, charter manager of 77.4 metre explorer Legend. “When you see an iceberg for the first time, you may be seeing shapes and sizes that no one has seen before.” When to visit: Work it into a summer cruising programme when the scenery looks even more spectacular under the midnight sun. You also have the best chance of spotting whales at this time. Greenland also has incredible heli-skiing. Head to Kangaamiut and take your pick from hundreds of glacial runs that drop into three fjords. If you prefer to get your adrenalin rush under water, there are several wreck dives. Greenland is home to fjords, glaciers and the biggest icebergs in the northern hemisphere, but despite its beauty only the brave visit. When to visit: Work it into a summer cruising programme when the scenery looks even more spectacular under the midnight sun. You also have the best chance of spotting whales at this time. Greenland also has incredible heli-skiing. Head to Kangaamiut and take your pick from hundreds of glacial runs that drop into three fjords. If you prefer to get your adrenalin rush under water, there are several wreck dives.